MOSI Teams up with Local Cancer Center to Offer FREE Lectures! Hey everyone! It&apos;s Lisa here and I am here to tell you about something that is FREE, educational and fun taking place at one of our Tampa Florida attractions this summer! MOSI and Moffitt Cancer Center will be offering free educational lectures to the public this summer! Talks will focus on nutrition, lung cancer, smoking cessation and sun safety, something I am sure we could all use a refresher on! All lectures will be held from 10:30-11:30 a.m. at the museum located at 4801 E. Fowler Ave. Lecture attendees will receive a discount to Gunther von Hagens’ Body Worlds, The Original Exhibition of Real Human Bodies & The Story of the Heart - a must-see! 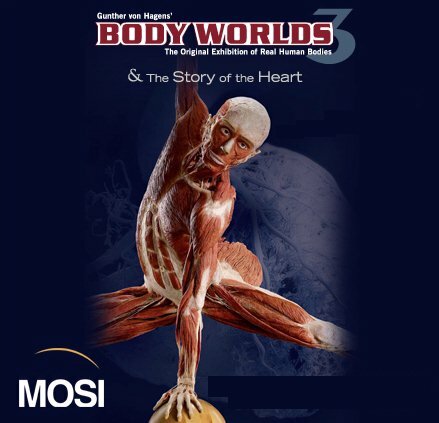 Get in to MOSI this summer for your free lecture and your discounted admission to BODY WOLRDS! Stay tuned for more things to do in Tampa Bay.